Love hexagons? What about darling little vintage bicycles? And telephones from days gone by? You can have them all in this stack…and more! 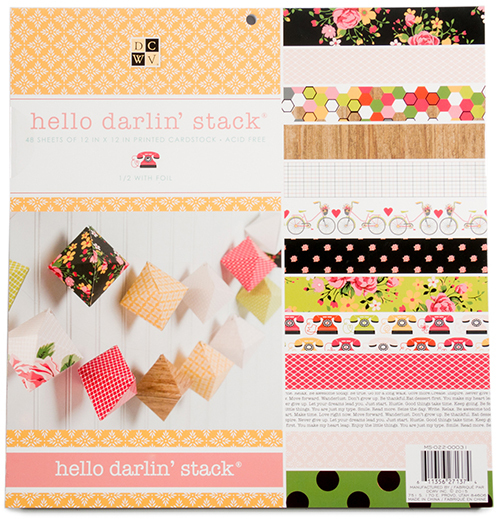 The ideas will pour from your creative mind into your crafty fingers as you see the assortment of prints in this stack, set in a color pallet of yellow, green, coral red, pink, and black. Be prepared for the creative adventure you've been waiting for! Don't miss the variety of prints used in just the right assortment of small scale, large scale, journaling cards, and more!